Technology exists in a state of constant flux. The most popular gadgets turn obsolete within a year or two, the sophistication of the hardware and software we use increases exponentially with each passing month and the digital foundations of modern society are almost continuously supplanted. Every day, there’s a new device to contend with, a fresh update and an addendum to the already dizzying array of features at our fingertips. It’s a thrilling world full of possibility and potential, but our dependence on these ever-changing technologies comes at a price. The overlay of the Internet on all aspects of our lives is fraught with vulnerabilities that criminals are eager to exploit. Though new protective measures are developed at the same breakneck speed as the software they guard, so are new ways to penetrate and circumvent these defenses. It’s estimated that 978,000 new malware threats are released with each passing day. It’s clear that “upto- date” can no longer be an accurate descriptor; it always describes a system one step behind the newest development. Today, cybercriminals are casting a wider net and catching more hapless victims than ever before. We read about the most costly of these breaches in the news each morning, including Equifax, J.P. Morgan, Home Depot, Yahoo!, Verizon, Uber and dozens more. even comprise the majority of attacks. According to Verizon’s 2017 Data Breach Investigations Report, 61% of breaches occurred at small businesses, with half of the 28 million small businesses across the United States succumbing to a digital strike. Even scarier is the fact that UPS Capital reports that 60% of these businesses shut down within six months of a breach. It’s a bleak reality to come to terms with if you’re a business owner. The truth is that it’s almost a statistical certainty that hackers will come for your data, and when they do, they’ll likely be using techniques nearly unrecognizable from today’s malicious flavor of the month. How can you possibly prepare for something that is constantly changing? The answer is sustained attention, vigilance and resources directed toward protecting all that you’ve worked so hard to build. 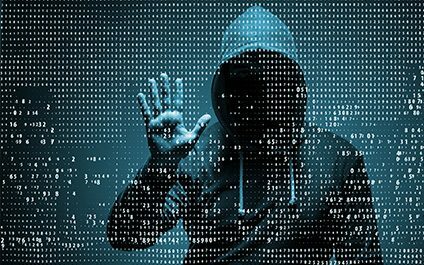 While it may be impossible to foresee exactly how hackers will try to penetrate your business, it’s well within the means of most businesses to implement comprehensive security solutions to give your organization a fighting chance. It’s vital to realize that, unfortunately, security protocols aren’t a set-it-andforget- it proposition. To respond to the evasive and increasingly sophisticated tools being shared throughout the enormous hacker community, you need an equally sophisticated and regularly updating security system. For nearly every one of the 978,000 fresh new malwares developed daily, there are patches and updates designed to address them – strategies and techniques to outsmart even the most devious of criminals. Just because you don’t have the resources of a massive corporation doesn’t mean you need to be low-hanging fruit for well-funded and highly organized cybercrime rings. Hackers assume that a business like yours is too tiny and ill-informed to prepare for even a simple phishing scam, and they’re usually right. But if every business owner put just a little more effort into securing their data, you can bet attacks would be curbed. And if every small business pledged to implement a professionally managed security protocol, we would see the frequency of these hacks diminish drastically. There’s a lot for business owners to think about during a year as chaotic as 2018, but your top priority should be the basic security of your company. Invest your time and resources into building a foundational blockade for potential threats, and you can rest assured that your livelihood is safe from digital collapse.